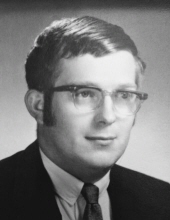 Glenn R. Tweedie, 74, passed away Monday, March 18th, 2019 at Bridgewater Center for Rehabilitation and Nursing Home in Binghamton. Glenn was born on January 9, 1945 in Walton, the son of the late Walter and Alice (Barnes) Tweedie. He lived in Deposit for 44 years and in New Mexico. He has 3 children: Scott (Sara) Tweedie, Chris (Mindy) Tweedie and Marcie White (Chad Hanyon). He has 7 grandchildren. They are: William, Alice and Derrick White; Oliver and Logan Tweedie, Mikalla and CJ Tweedie. He is survived by his sister, Sandra (Bill) Kerr and brothers Harold (Pat) Tweedie and Dale (Delores) Tweedie. There are many nieces and nephews. He was predeceased by his brother and sister-in-law Gary and Joan Tweedie. He was a 4-H member. He served in the U.S. Army for 4 years and was stationed in Korea and Germany. He graduated from Morrisville College. He was a member of the Brookfield Tractor Pullers Association. He was also a member of the Deposit Lumberjack Festival Committee and organized the tractor pull for many years. He belonged to the American Legion in Hancock and Deposit, and he served as a member of the Deposit Emergency Squad for several years. To plant a tree in memory of Glenn R. Tweedie, please visit our Tribute Store. "Email Address" would like to share the life celebration of Glenn R. Tweedie. Click on the "link" to go to share a favorite memory or leave a condolence message for the family.